VALLETTA, VALLETTA, MALTA, October 31, 2018 /EINPresswire.com/ -- VegaWallet ‘’The complete cryptocurrency platform’’ has announced that it will allow businesses to incorporate cryptocurrency payments on a large scale. This service also extends to mobile payment technology as well. This does not stop the businesses from receiving traditional credit cards and cash payments, as VegaWallet will be announcing partnership with a traditional credit payment processor to provide stores with state of the art payment terminals. VegaWallet focuses on bridging the gap between customers who are willing to pay in cryptocurrency and businesses who may not be there yet. 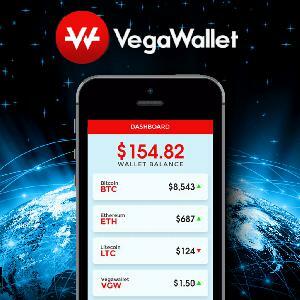 VegaWallet Announces Major Overhaul To Their Cryptocurrency Wallet, Pledges Focus On Mass Adoption & Beginners. VegaWallet to Offer Advanced Payment Processing Capabilities from North American Bancard.